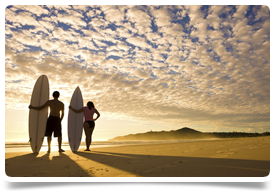 Gold Coast GP practice seeking experienced GPs to join their multi-disciplinary team. This is an established bulk billing clinic located in a great area of the Gold Coast. It was initially established by a GP recently it was acquired by a growing network of practices. Currently there are 9 consultation rooms in the clinic with plans to extend this to 15 in the future. They have a large number of Allied Health Professionals, in house clinics such as skin, diabetes and exercise physiologist as well as on site pharmacy, radiology and pathology. The clinic itself is architecturally designed, modern and well equipped. The team are very friendly and supportive of new doctors joining the team. They have regular clinical meetings and opportunities to share knowledge and teaching. Opening hours are Mon – Fri: 7am – 8pm, Sat - Sun: 8am – 4pm, participation in late finishes and weekend roster will be required. To be considered for this position you must have MRCGP / MICGP / FRACGP or equivalent. Gold Coast, where the high-rises are built around superb surf beaches like Surfers Paradise. Defined by its spectacular beaches, hinterland ranges, forests, waterways and vibrant communities, the Gold Coast is an outstanding global city with a great mix or nationalities and cultures. Dive into lively nightlife, international theme parks and designer boutiques, see the coast from a Spitfire plane and cheer on competitors in the Coollangatta Ocean Swim. Experience the opulent Palazzo Versace or head to the hinterland for rainforest walks and spa retreats. Arranging a position overseas is very exciting, but we understand that it can also be daunting and time consuming. We’re the UK’s specialist in international medical recruitment and we’ve helped many Doctors relocate since we first started out in 2008 (you can read what people have said about working with us on our testimonials page). We know it’s important to balance career opportunities with lifestyle and we’ll talk through your plans and will get to know you to make sure we find the right role in the right location. other opportunities contact Gary today.